When it comes to the FIBA World Cup, it is clear that most pundits and experts cannot see beyond Team USA, with perhaps the host nation sneaking in with a chance of success. The blanket coverage of the American team means that it has been easy to overlook many of the teams who are taking part in the event but as we edge close to the tournament; there are some nations who are looking to roar and make sure that their voice is heard. This can be seen with the Australian team, known as the Boomers, and their coach has said that he expected to bring medals back from the tournament. Andrej Lemanis spoke to local media before setting from Sydney and he pointed to the fact that the Australian roster boasts of a number of players who have NBA experience. The Australian squad can call upon Aron Baynes, a current NBA champion with the San Antonio Spurs and Matthew Dellavedova from the Cavaliers. There is also the fact that two recent NBA drafts, in Dante Exum and Cameron Bairstow can be found in the Australian squad. There has been a depletion of NBA stars with Patty Mills and Andrew Bogut missing out but on the whole, there is some talent in the squad that will make its way to Spain. Before they arrive in Spain for the tournament, Australia will be playing in 9 tour games and their first official match in the tournament takes place on the 31st of August. Australia has a blend of the new and the old, with David Anderson all set to play in his fifth international tournament for his nation, a haul which includes three Olympic Games. Australia will also be boosted by the experience of Brad Newly and Joe Ingles. There is no doubt that Australia will be able to mix it in the majority of their games but most observers believe that they lack the top quality that is required to triumph at these events. It is important for teams to enter this style of event with confidence and a desire to win but stating such wild expectations in a broad manner may come back to haunt Australia. 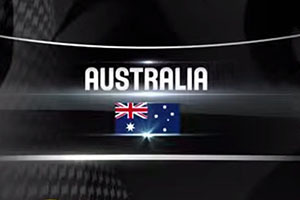 Bwin rank the Australians as 301.00 to win the tournament and are the 12th ranked team on the site. This means that Australia will really need to prove Bwin wrong if they are determined to live up to their hope of sealing a medal position at the FIBA World Cup. The Bet365 site offers Australia odds of 151.00, and ranked 11th, to win the tournament so if you genuinely believe the Aussies will shock the world this summer; you will get a far better return for your wager with Bwin than you will receive from Bet365. This is a clear indicator that to make the best out of basketball betting, you need to be prepared to look around for value. Regardless of how it all pans out, and whether Australia manage to bash the bookmakers with a surprise show this summer, there is no doubt that the FIBA World Cup in Spain is going to be about a lot more than just two top teams. You can expect the Boomers to cause problems for a lot of nations in Spain this summer.